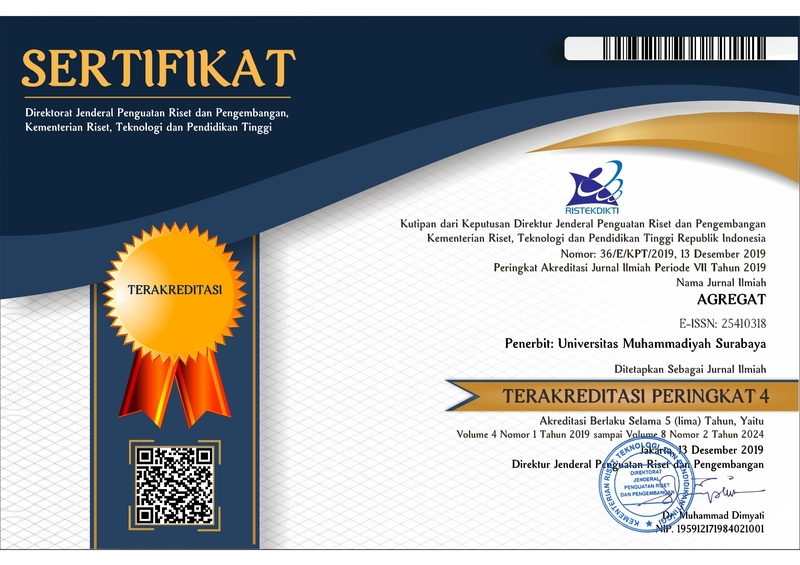 AGREGAT is a scintific journal of Department of Civil Engineering, University of Muhammadiyah Surabaya. The journal published periodically every six months on Mei and November. The journal consists of result of research, literature review, and case reports created as realization of Tridharma college. AGREGAT was published for the first time in 2016 with p-ISSN 2541-2884 and e-ISSN 2541-0318. AGREGAT is expected to accommodate the need for a media to disseminate information and latest publication for researchers and practitioners of Civil Engineering in Indonesia. Hopefully this journal will be useful for the readers and will give contribution to an increase in science. Agregat created by Department of Civil Engineering UM Surabaya distributed under International Creative Commons Liscence Atribution 4.0.